Among the areas we wanted to improve on for opam 2.0 was the handling of switches. 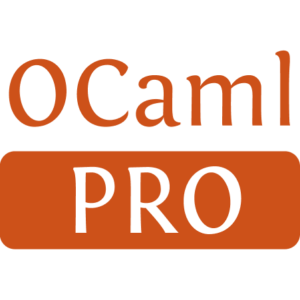 In opam 1.2, they are simply accessed by a name (the OCaml version by default), and are always stored into ~/.opam/<name>. This is fine, but can get a bit cumbersome when many switches are in presence, as there is no way to sort them or associate them with a given project. For those unfamiliar with it, switches, in opam, are independent prefixes with their own compiler and set of installed packages. The opam switch command allows to create and remove switches, as well as select the currently active one, where operations like opam install will operate. Their uses include easily juggling between versions of OCaml, or of a library, having incompatible packages installed separately but at the same time, running tests without damaging your "main" environment, and, quite often, separation of environment for working on different projects. What opam 2.0 adds to this is the possibility to create so-called local switches, stored below a directory of your choice. This gets users back in control of how switches are organised, and wiping the directory is a safe way to get rid of the switch. This is the main intended use: the user can define a switch within the source of a project, for use specifically in that project. One nice side-effect to help with this is that, if a "local switch" is detected in the current directory or a parent, opam will select it automatically. Just don't forget to run eval $(opam env) to make the environment up-to-date before running make. will create a local switch in the directory ~/src/project. Then, it is for example equivalent to run opam list from that directory, or opam list --switch=~/src/project from anywhere. In practice, the switch contents are placed in a _opam/ subdirectory. So if you create the switch ~/src/project, you can browse its contents at ~/src/project/_opam. This is the direct prefix for the switch, so e.g. binaries can be found directly at _opam/bin/: easier than searching the opam root! The opam metadata is placed below that directory, in a .opam-switch/ subdirectory. Local switches still share the opam root, and in particular depend on the repositories defined and cached there. It is now possible, however, to select different repositories for different switches, but that is a subject for another post. Finally, note that removing that _opam directory is handled transparently by opam, and that if you want to share a local switch between projects, symlinking the _opam directory is allowed. This feature has been present in our dev builds for a while, and you can already use it in the current beta. 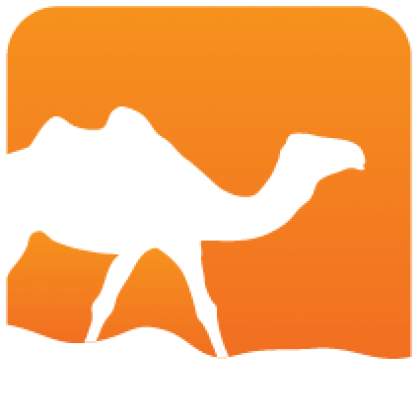 It is not, at the moment, possible to move a local switch directory around, mainly due to issues related to relocating the OCaml compiler. Creating a new switch still implies to recompile all the packages, and even the compiler itself (unless you rely on a system installation). The projected solution is to add a build cache, avoiding the need to recompile the same package with the same dependencies. This should actually be possible with the current opam 2.0 code, by leveraging the new hooks that are made available. Note that relocation of OCaml is also an issue for this, though. Editing tools like ocp-indent or merlin can also become an annoyance with the multiplication of switches, because they are not automatically found if not installed in the current switch. But the user-setup plugin (run opam user-setup install) already handles this well, and will access ocp-indent or tuareg from their initial switch, if not found in the current one. You will still need to install tools that are tightly bound to a compiler version, like merlin and ocp-index, in the switches where you need them, though. Generated from opam-local-switches.mdusing opam2web, courtesy of OCamlPro. Commercial support.